Hope everyone had a great summer! It is certainly shaping up to be an interesting Autumn. 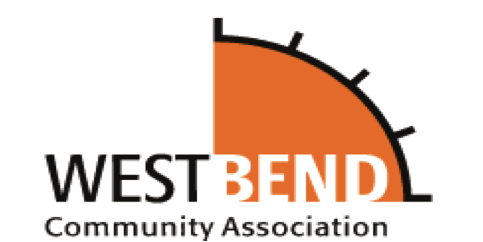 The West Bend Community Association reconvenes this coming Wednesday, September 19th for our 2018-2019 session. We will meet in our usual place – the second-floor staff room at Indian Road Crescent Public School, at 7pm. Look for signs from the main entrance; the staff room is directly above. Everyone is welcome and encouraged to attend! Our first meeting of the season is the perfect opportunity to come and see what the Association is all about – especially if you have never attended one of our meetings before. There is much to discuss. In September we plan our agenda for the year. In October we hold our Annual General Meeting where we will select our executive and get to work! Our neighbourhood is under considerable development pressure, with no less than three significant local developments in stages from proposal to under-construction. These developments will have a noticeable impact on the neighbourhood during construction and perhaps even more once they house thousands of new residents in the neighbourhood. There will be impacts on traffic, city services, local transit, and more. How might it affect you? As a result of a study commissioned by your West Bend Community Association and carried out by engineering students from the University of Toronto, the City is evaluating options to reconstruct the intersection at Dundas, Dupont, Annette, and Old Weston. This was clearly identified as a confusing and dangerous intersection and the City will be presenting some options for improvement sometime this fall. Next up – the intersection at Bloor and Dundas. You may have noticed some of your neighbours working on the Railside Gardens. The Community has assumed responsibility for the Garden, and has fsome unding for planting and maintenance. If you are interested in helping build and maintain the Railside Garden, we would love to have you onboard. There will be a Municipal election this fall. We don’t quite know what ward we will be voting in or who the candidates are that we will choose from, but those details will have to unfold over the next 5 weeks. Stay tuned. This will be defining election for the City of Toronto and I sincerely hope you all participate. A tunnel to the UP Express station, 30 km/h speed limits, cars rolling stop signs, dog parks, people parks, historical buildings, laneway housing, runaway real estate, neighbourhood watch and more… If it matters to you in the community, then it matters to your Community Association! Whether or not you have attended one or our meetings in the past or if this would be your first time, you are encouraged to attend. We are here to support your voice for the Community. If you have any questions, comments, suggestions, or feedback, you can reply directly to this email.